Help with face painting, running game booths, and serve food at a picnic for the participants. 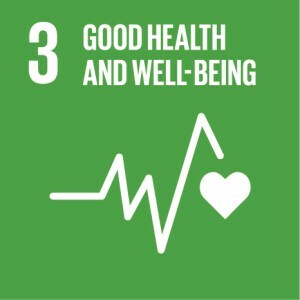 The Spina Bifida Coalition of Cincinnati envisions individuals with spina bifida as confident, skilled and productive citizens, advocating for their own health and welfare. Volunteers make this possible. The Spina Bifida Coalition of Cincinnati strives to maximize the potential of every person living with Spina Bifida in the Greater Cincinnati area. We do this by advocating for improved public services, connecting people with others in our community via social events and social media, educating families, teachers, and professionals about what it means to live with Spina Bifida and the resources available to improve quality of life, and supporting our clients through financial aid, and small gifts when at clinic or in the hospital to let patients know we are thinking about them. Spina Bifida Coalition of Cincinnati, Inc. shared a post. Spina Bifida Coalition of Cincinnati, Inc. added 67 new photos. Such fun! Always enjoy seeing our families! I hate that we had to miss it today. We had a last minute dr appt for payton this morning and turns out she has s uti 😞. Looks like everyone had fun! I wish I was young again looks like a lot of fun! Blake Cox Marilyn Horning Greg Arndt II Jessica Rupright Thank you all again for coming today with your rabbit and chicks!!! 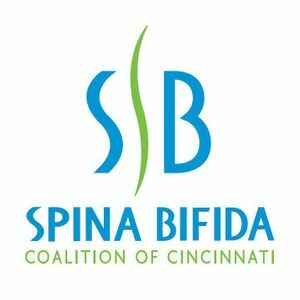 Spina Bifida Coalition of Cincinnati, Inc. updated their status. SBCC has been approached by the Cincinnati Reds Community Fund Organization to come and sell the Reds Split the Pot tickets at any Cincinnati Reds home game for the 2019 season. This is a great way to kick-off your 2019 Walk & Roll Team Fundraising while enjoying the Cincinnati Reds. Must have a minimum of 10 adult (age 18 +) team members to volunteer Don’t think you have 10 team members? Let us know your interest, and we will work to pair you with another team; earnings will be split among participants. You will sell raffle tickets from the time the gates open until the 7th inning (approximately 4 – 4.5 hours). This does involve roaming the ballpark; there are 3 accessible kiosks for those who use a wheelchair. Currently, there are openings beginning in May but home games are filling fast! Reds Schedule is attached. You have the opportunity to work just one game or a combination of games. 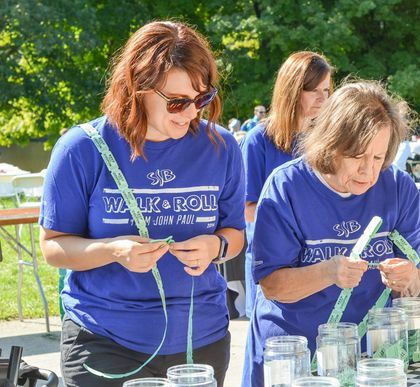 All earnings will be forwarded to the Spina Bifida Coalition of Cincinnati and will be credited to your 2019 Walk & Roll Team/Account. 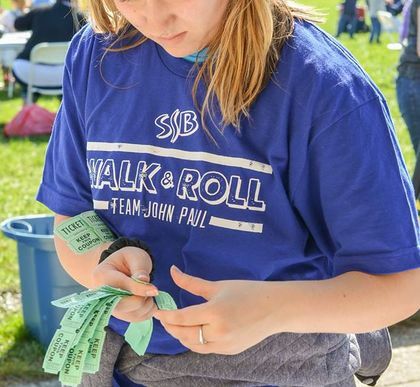 Spina Bifida Coalition of Cincinnati, Inc.
“Fall down seven times, stand up eight” is a motto 19 year-old Isabella Burton lives by. Isabella, a student at the University of Cincinnati’s Clermont campus, is pursuing a degree in social work and was recently named Ms. Wheelchair Ohio. She also has spina bifida. Isabella walked until age 13, when a series of back surgeries prompted her to begin using a wheelchair the majority of the time. This transition was emotionally taxing at first, but her determined spirit helped her to see the benefits, such as eliminating back pain. Emotions aside, an additional stressor that wheelchair users face is finding easy access to public spaces. In choosing a college campus, UC Clermont’s campus was a home run for Isabella. She was fortunate to find they offer a variety of accessibility resources, enabling her to enjoy a typical college experience that has thus far been enjoyable and rewarding. Thank you for sharing this beautiful, young lady with us. Good luck to you in your studies, Isabella! How many of you reading this inspiring story of Insabella's challenges know of someone, adult or a child, with Spina bifida . Daily life events exceed normal growth and social experiences. A 10 year old boy entered our lives recently and we consider him a bright cheerful young man. He does not consider his challenges to be debilitating. He sees him self as normal. We consider him our great grandson. Be there for the person you know with this condition as we do for our great and we do mean great grandson. 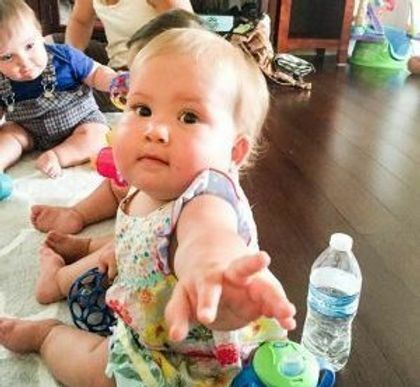 Isabella Burton, my 2 year old grandson was also born with Spina Bifida. I love hearing stories like yours. It's very encouraging to us. He's been such a sweet miracle in our lives. Our prayer page is Pray for Brody Brock if you want to follow his progress. What a tremendous mission to share stories of constant courage. Well done both of you. I see her almost everyday at school! Spina Bifida Coalition of Cincinnati, Inc. added 16 new photos — at Topgolf (West Chester).